iPhone default ringtones can make you bored easily. Find more interesting iPhone iOS 12 ringtones here for your enjoyment! Think that when your iPhone rings, everyone around you all look at you just because of your distinctive iPhone ringtone. Is it a beautiful experience? Making your own's iPhone ringtone will provide you with such an experience. It takes an iPhone ringtone maker to make iPhone ringtones of your own. Here we look at a professional iPhone ringtone maker - iMyFone TunesMate. Not only a ringtone maker, iMyFone TunesMate is also an iPhone data transfer/data manager allowing you to manage iOS data and transfer data such as music, ringtones, videos, movies, photos between iPhone and iTunes/computer. Head to Sounds & Haptics (Sounds in some old version ) under iPhone Settings app, and scroll down to SOUNDS AND VIBRATION PATTERNS section where you can find many default iPhone ringtones within different categories Ringtone, Text Tone, New Mail, Sent Mail, Calendar Alerts, Remainder Alerts, and AirDrop. Here you can change your iPhone default ringtone for incoming phone call, incoming text message, sending or receiving mail, alerts, etc. Where Are Ringtones Stored on iPhone? How to Redownload Ringtones on iPhone? Where Can I Find Ringtones on My iPhone? How to Change Default iPhone Ringtones? How to Customize Text Message Tones on iPhone? 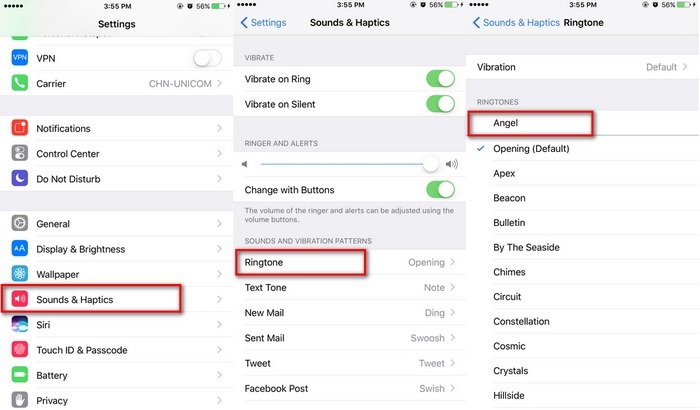 How to Assign Different Ringtones for Different Contacts on iPhone? Tired of iPhone default ringtones? Then you can visit some websites that offer iPhone ringtones for free, and you can free download iPhone ringtones to expand your iPhone ringtone stock. The traditional way to make ringtones of your own is via iTunes. Please note that iTunes after version 12.7 has hidden Tones tab. But it won't affect the making of ringtones with iTunes; it only affects the transferring of ringtones from iTunes to iPhone. How to Make iPhone Ringtones with iTunes? How to Transfer Ringtones to iPhone from Old Version iTunes? Tones Not Showing in iTunes 12.7, How to Transfer Ringtones to iPhone? With all kinds of iPhone ringtone makers, you surely will get what you desire as iPhone ringtones. 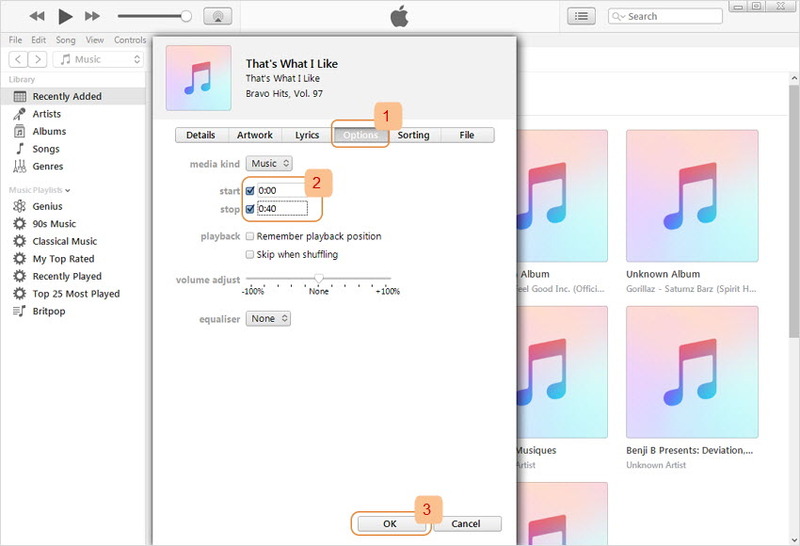 What if you want to share those pretty awesome iPhone ringtones to your friends and relative? What if you encouter some iPhone ringtone issues? Here are some tips for you to better enjoy iPhone ringtones. How to Transfer Ringtones from One iPhone to Another iPhone? How to Share Ringtones between iPhones? 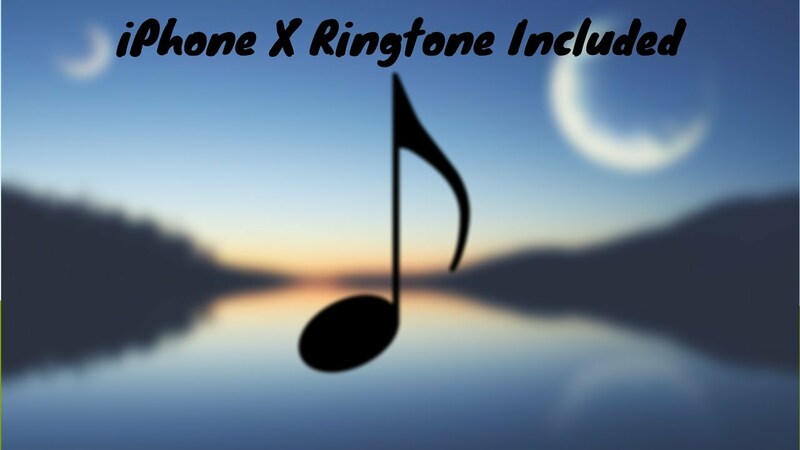 How to Buy Ringtones for iPhone? Missing Calls Because iPhone Not Ringing? Solutions! 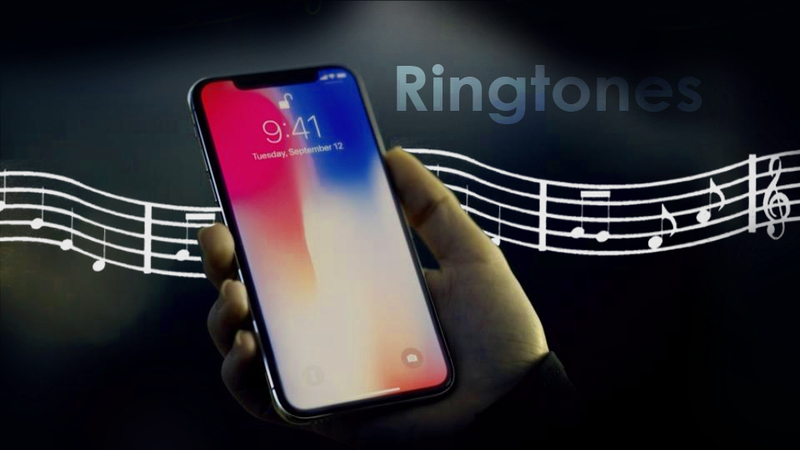 How to Send Ringtones to iPhone? How to Transfer Ringtones from Computer to iPhone? How to Fix iPhone Ringtones Not Working After iOS 11.3 Update? Can’t Play Custom Ringtones in iOS 11.3? Fixes! How to Transfer Ringtones to iPhone from iTunes? How to Make a Ringtone for iPhone from YouTube? 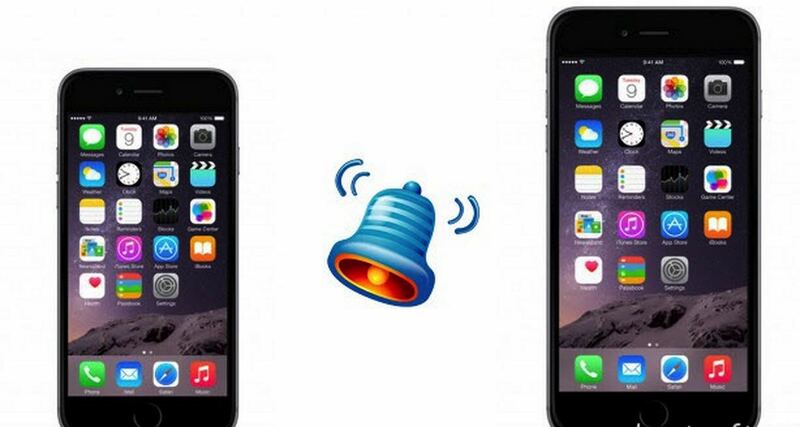 How to Get Free iPhone Ringtones through Cydia?